To prevent water damage to masonry work, tuckpointing is necessary. Most masonry damage is a result of worn mortar joints: as the mortar is worn away, water and contaminants are able to seep in, causing further damage to the mortar and bricks. Tuckpointing is the process of repairing this damage. Think of tuckpointing like filling a dental cavity. If left untreated, the tooth decay worsens and grows. By filling this cavity, further decay is prevented and the tooth is no longer able to be compromised. Tuckpointing is similar to filling ‘cavities’ in the mortar of masonry work. Masonry is quite durable, but not impervious. Tuckpointing is required at least every twenty-five years to protect bricks from water damage. Some signs that you may need tuckpointing include the appearance of cracks and holes in the mortar, or what looks like a white substance on its surface. 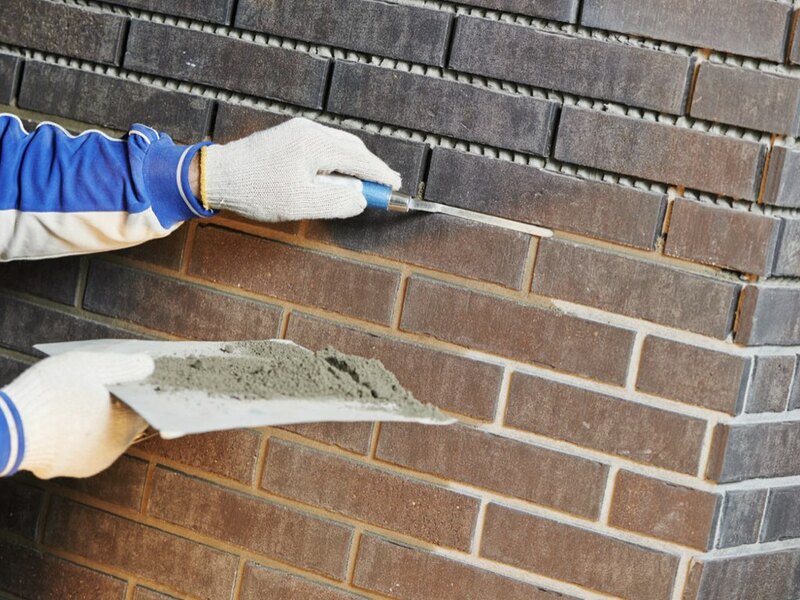 Effective tuckpointing requires the work of experienced professionals. At best, a clumsy tuckpointing job will make your masonry look uneven and ugly; at worst it could lead to further damage by leaving unwanted cracks in the mortar. Don’t do it alone.